While the Pats have played premiere squads like Houston, Chicago, and Minnesota this season, there’s no doubt that this weekend’s bout with the Steelers is the one that most have had marked on their calendars since September. Though Pittsburgh is in the midst of a three-game skid, they’re still one of the AFC’s most talented and dangerous squads, and these two teams always have memorable battles – often with huge playoff implications – what seems like every year now. And this year is no different. At 7-5-1, Pittsburgh still sits atop the AFC North; their shot at a bye is likely gone, but with Baltimore nipping at their heels for the division title, they won’t be taking this one lightly. It’s almost surprising to see the Pats favored in this one; the fact of the matter is the Pats have been a terrible road team this year, with a 2-4 record in games outside of Gillette. On the flip side, Pittsburgh is struggling a bit when playing in the Steel City this year, as they are 3-3 at home, surprising for a team that has typically had one of the strongest home-field advantages in the league in years past. The Pats have also won five straight against the Steelers, including the playoffs, but they barely escaped with a win in Pittsburgh last December on a very controversial overturned touchdown call late in the game. The fallout from this play dominated the sports talk air waves for weeks last winter. Typically built entirely upon their offense the past couple of seasons, Pittsburgh has stepped it up big time on defense this year. That is not to say their offense, currently ranked fourth overall in the league, hasn’t still been great; it’s just that they also feature the league’s sixth-ranked defense against the run and are 12th against the pass. After struggling to run the ball against Miami’s putrid front last week, I’d leave Sony Michel, James White, and Rex Burkhead on your fantasy bench this week. With two top-seven passing offenses, as well as a future H.O.F. quarterback and a lethal 1-2 combo at wide out on both sides, expect to see an air show on Sunday. As pointed out by Rotoworld’s Rich Hribar, the Steelers have also thrown the ball over 65 percent of the time since Week 6, the highest rate in the league, and with running back James Conner still being uncertain to play this week with an ankle injury, Big Ben might be forced to chuck it even more. However, Roethlisberger also injured his ribs this past Sunday against the Raiders, and while he should still play this week he could be a bit hindered. We shall see. It’s always a sight to behold when these two square off. It should also be noted that Gronk was basically the reason the Pats were able to beat the Steelers last year, absolutely dominating the stat line with nine catches for 168 yards. As I’ve pointed out numerous times this year, the big fella just doesn’t look the same lately, and the Pats might not have as big of an advantage heading into this game as they did a year ago. Fortunately, though, we still have Bill Belichick, and the Steelers have Mike Tomlin. That’s probably the biggest chip the Pats will be playing with this weekend, and there’s no doubt which team holds the leg up there. Be sure to stay tuned for the always entertaining Tomlin postgame presser on Sunday night. Simply put: we’re in for a fun one on Sunday. To be entirely honest, it’s tough to pick which of the many different factors that will affect this game to highlight here. Due the long history between the two teams, I could probably write an entire book on them. There are such questions as: Are Brady’s (knee) and Roethlisberger’s recent “minor” health issues going to rear their ugly heads at some point? ; Has Gronk finally put his long list of nagging ailments behind him? ; Will James Conner play, and if so, how much? ; Can Stephon Gilmore and Jason McCourty continue their strong play against the likes of Antonio Brown and JuJu Smith-Schuster? I think I already pretty much covered most of what you need to know above. I just CANNOT WAIT for Sunday afternoon. This one’s almost impossible to predict, as I really feel like it could go either way. One thing’s for sure, I think Vegas got it right this week; neither team is going to come out on top by much more than a couple points, at most. Due to the Pats’ struggles when traveling this year, I’m actually giving the slight edge to Pittsburgh. Especially if the team can’t establish anything on the ground, Brady’s going to need to eat his Wheaties for breakfast that morning if he wants to keep up with the Steelers’ high-powered O. In the end, I think the Pats suffer a heartbreaker, 31-27. 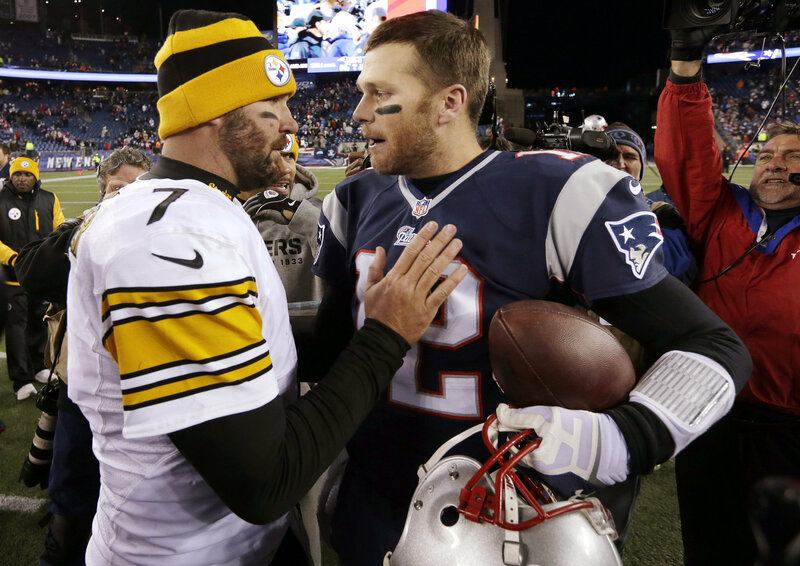 This entry was posted in Patriots and tagged Ben Roethlisberger, New England Patriots, NFL, NFL Week 15, NFL Week 15 Matchups, NFL Week 15 Odds, NFL Week 15 Predictions, NFL Week 15 Preview, Patriots, Patriots Steelers, Patriots Steelers Preview, Pats, Pats Steelers Preview, Pittsburgh Steelers, Tom Brady. Bookmark the permalink.